Recently, in attempt to make the very most of my clearer-brained house-bound days, I have been dipping into TED talks. In this post, I have compiled a list of seven 18 minute of less talks which I've found particularly uplifting and inspiring in my current circumstances. - Whilst training for the Olympics as a cross-country skier, Janine Shepherd was hit by a truck and left paralysed. She explains how she came to realise that while her body may be limited, her spirit is unstoppable. - Take home message: You are not your body. Giving up old dreams can allow you to discover equally wonderful alternatives. - Brene Brown discusses her findings about human connection and our ability to empathise, belong and love. - Take home message: There is power in embracing vulnerability. In doing so we free ourselves up to fully feel joy, gratitude and happiness. - Aimee, a paralympic athlete, seeks to defy the negative associations with the word 'disabled'. - Take home message: Adversity opens the door to human potential. -Take home message: We all face difficulties but it's how you come out of them that counts. Channel your inner three year old. Be authentically you. -Activist, Caroline Casey, starts this talk with an extraordinary revelation. She goes on to encourage us to challenge perceptions and look past the limitations we may think we have. 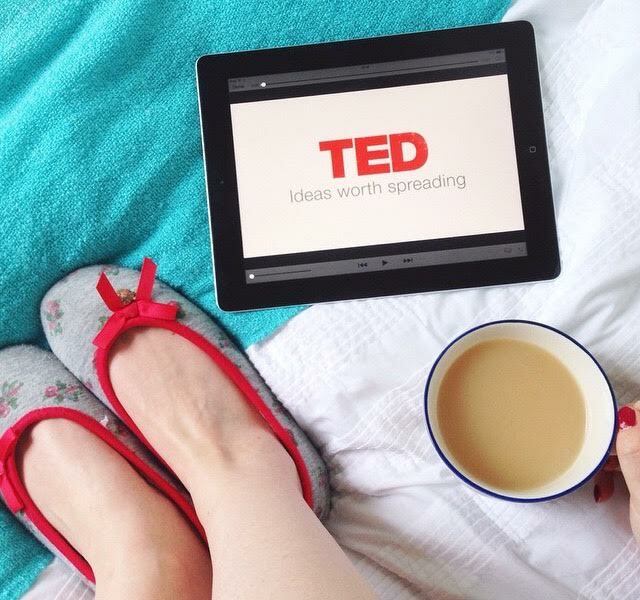 Do you enjoy watching TED talks too? Do let me know your thoughts on any of the above videos in the comments. I'm always looking for new things to watch / learn from, so if you have any recommendations, send them my way!